book is a collection of 40 world leading teachers, academics, influencers, critics and practitioners who have answered the question “have you ever walked out the door to go to work, the shops, the gym, etc. and realised you’d forgotten to pick up your smartphone? And then turned around and gone right back for it? In June 2014 I was given a wearable, the Samsung Gear Live smartwatch. Back then I certainly didn’t imagine writing about wearables as one of my EdTech Rations. It’s not that I couldn’t see the potential of wearables in education, something also featured in the 2013 NMC’s Horizon Report, the ability to integrate technology as part of your everyday life opens up the potential for discrete interactions, contextual information, logging and more. The issue I had with my Samsung Gear Live was integration in my day-to-day life. With a one day battery and plug-in charging most mornings the watch was left at my bedside completely flat. The turning point was receiving a second smartwatch, the Moto 360. Like the Gear Live the Moto 360 also uses the Android Wear operating system. 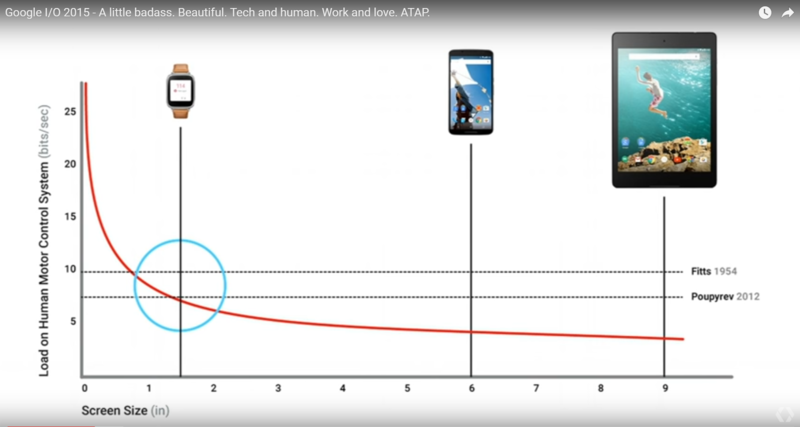 What was the difference that makes wearables part of my everyday life … wireless charging. The ability to place my watch on a dock besides my bed in the safe knowledge that by the morning it would be full charged added a level of convenience that actually overcame another issue with wearables, the aesthetic … would you wear it. My Moto 360 is the bottom of the line model and on appearance you can tell. Whilst the watches physical design and finish is underwhelming I have been able to personalise it to try and overcome some of its shortcomings. Whilst I could have changed the strap I didn’t think that would help much so instead I forked out £1.39 on the WatchMaker Premium app. This app lets you install, remix and create your own watch faces. I written about ‘becoming a watch maker’ and shared some other designs. 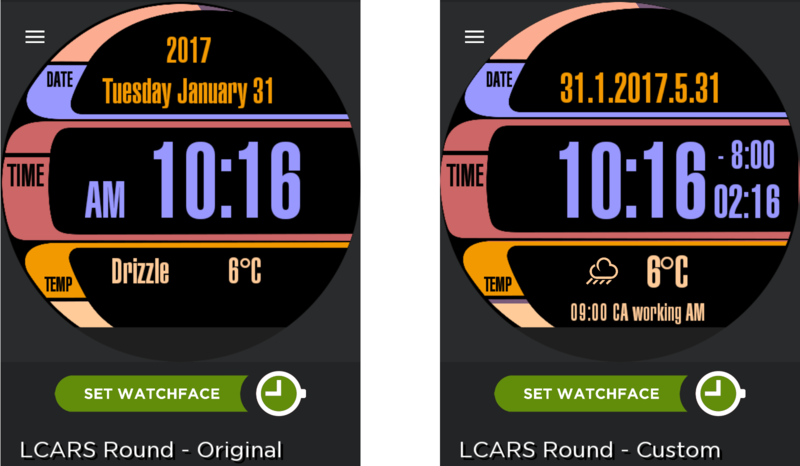 My current favourite watch face is a remix of a Star Trek inspired face which I’ve tweaked by adding the date and calendar information. The inclusion of features like calendar information is one of the key reasons I use smartwatches, the convenience of an easily accessible awareness mechanism that allows with the minimum of effort access to notifications I find useful beyond just the time. If the creators of the Android Wear platform, the operating system used on my smartwatches, read that I’m sure their hearts would sink as their ambition was for it to be more than just some text. Android Wear like other smartwatch operating systems creates a platform for rich notifications that can integrate with actions, include visual cues and assist with immediate consumption. I do however occasionally use some of the other actions available. The challenge is on such as small touch interface understanding user input. This was highlighted in a 2015 session at Google’s developer conference Google I/O in which a number of projects were announced to address the issues of wearable devices. Highlighting the research by Fitts in 1954 the smallest screen size that can comfortably be used for human interaction is around the size or most current smartwatches. Solutions announced in the Google session included: Soli, a miniature radar chip that can fit into devices like smartwatches that can be used to detect touchless interactions; and Jacquard which enables touch capabilities to be woven into fabrics. Another interface that has been bubbling around for years but now having its moment is voice interaction. If like me you experimented with voice interfaces over a decade ago and feeling disappointed it’s easy to think these are still clunky and unresponsive. Competition from Apple Siri, Amazon Alexa and Google Assistant has resulted in systems that are increasingly able to not only to understand words but also use other factors such as context to interpret intent. Voice driven actions are already a feature of Android Wear and the next version of the operating system is set to get an enhancement with Google Assistant. The things you wear, comfort in talking to a device, particularly in public, again underline the personal buy-in required for wearables. Within a learning context I struggle to see a time where you can assume a group of students will all have the same wearable device or even all using the same wearable platform such as Android Wear. If advocating wearables in education privacy should be a primary concern. Wearables are often the slave to a master such as your Android or Apple mobile; or a cloud based service like Fitbit. As such they can collect a whole host of sensitive data. For example, researchers have already used sensor data from smartwatches to predict with a degree of accuracy a PIN you enter at a cashmachine Which leaves me with the question, having bought into wearables have I already sold out? Fitts, P.M. (1954). The information capacity of the human motor system in controlling the amplitude of movement. Journal of Experimental Psychology, 47. p. 381–391. Wang, C., Guo, X., Wang, Y., Chen, Y., & Liu, B. (2016). Friend or foe? : Your wearable devices reveal your personal pin. In Proceedings of the 11th ACM on Asia Conference on Computer and Communications Security (pp. 189-200). ACM.